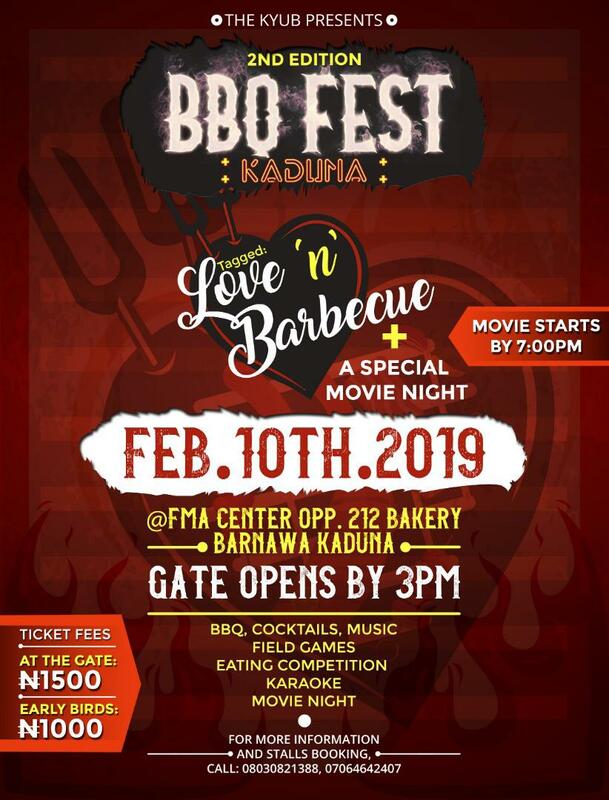 It is a season of love and The Kyub NG is bringing something unique to Kaduna. 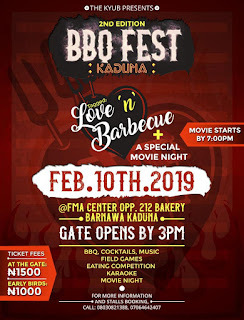 It is The Second Edition of BBQ Fest Kaduna and it will be happening big. It is tagged, "Love 'N' Barbecue" and will be complemented with A Special Movie Night. You cannot afford not to enjoy the beautiful moment this time around as there will be Barbecue, Cocktails, Field Games, Eating Competition, Karaoke, Movie Night and lots more.